The company’s Quality Management System embraces each stage of the manufacturing process – from design and development, through tooling and injection moulding, to final assembly, packaging and distribution. Since June 2010, the Quality Management System at Copernicus® has been certified for conformance with ISO13485. Products manufactured by Copernicus® are thoroughly tested, in both its own approved internal lab and at accredited external laboratories. 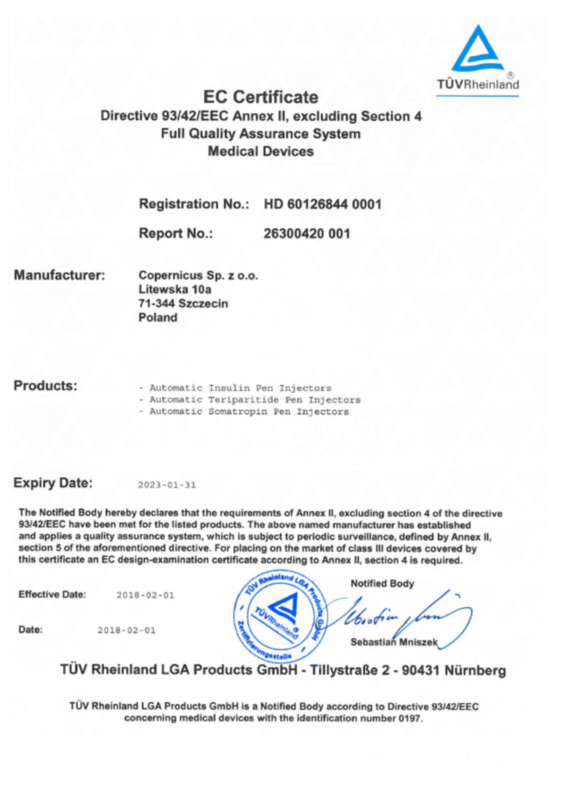 Conformance with essential requirements is proven by quality certificates, which entitle Copernicus® to stamp its products with the CE mark.